See that up there? That’s what impending doom for my book Kickstarter looks like. Maybe. We need to raise $4,000 in under four days. Actually…three days, seven hours, and about 15 minutes at the time I write this. Yeah. Slow and steady may win the race for some, but in this case we need this thing to spread faster than a zombie plague in the next few days if it’s going to make hit the necessary $7,000 mark by 5pm EST on Sat. Sept 8th. We’ve had some great support from a lot of rad folks in and outside of the game industry. Unfortunately, despite all of the site traffic, retweets, press coverage, and excellent word spreading…only about 10 percent or so of the folks checking it out actually become backers [cue slide trombone]. 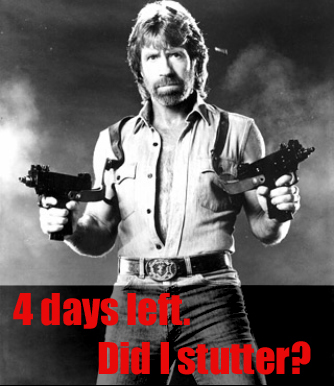 Actually, Chuck, less than 4 days, but thanks for the encouragment. We need your help to back the book and get it across the finish line! Time is running out. 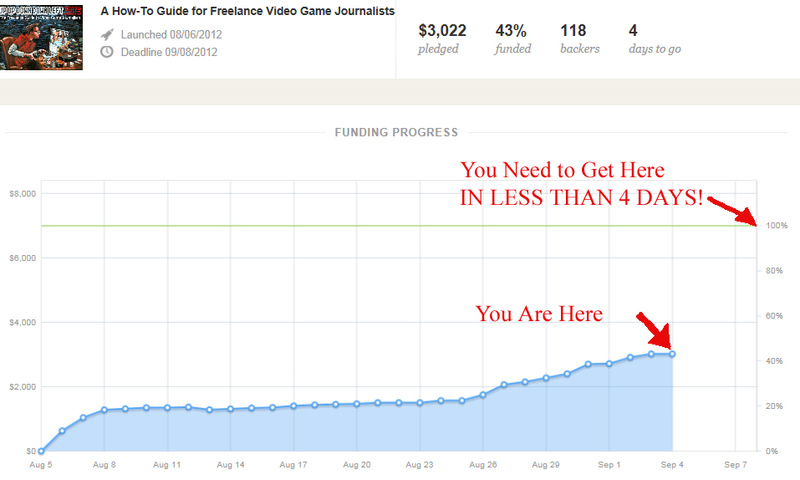 This entry was posted in Up Up Down Down Left WRITE and tagged advice, book, final push, freelance, game journalism, guide, how to, kickstarter, nathan meunier, up up down down left write, video game journalism by nmeunier. Bookmark the permalink. My brother reecommended I might like this website. He was entirey right. This post truly made my day.